Sounded like a hellofa chase by Glamorgan. Warwickshire finally put a first XI team on the field, whether it helps or not is the question. 17 year old Saif Zaib selected for Northants today. Yorkshire's bowlers did well to nullify the Surrey top order, before Ansari and Curran put on a late order stand of 76 to help Surrey post a decent total of 265/8. Northants already 2 down after 3 overs. I think I'll give up on this competition. Warwickshire can't buy a wicket at the moment and lots of miss fields suggests a sloppy game all round. Don't know what's happened to our batting. Not quite sure what happened but Yorkshire somehow lost to Surrey by 7 runs and still had big hitters at the crease. I assume it was good slower death bowling by Dirtbag and Curran. Dramatic finish in the Gloucestershire v Derbyshire game-hosts needed 68 off 4 overs and then - with 6 needed from the final ball - a catch was taken but it was a no ball because not enough fielders were on the off-side! The winning runs were thrn scored from the extra delivery. 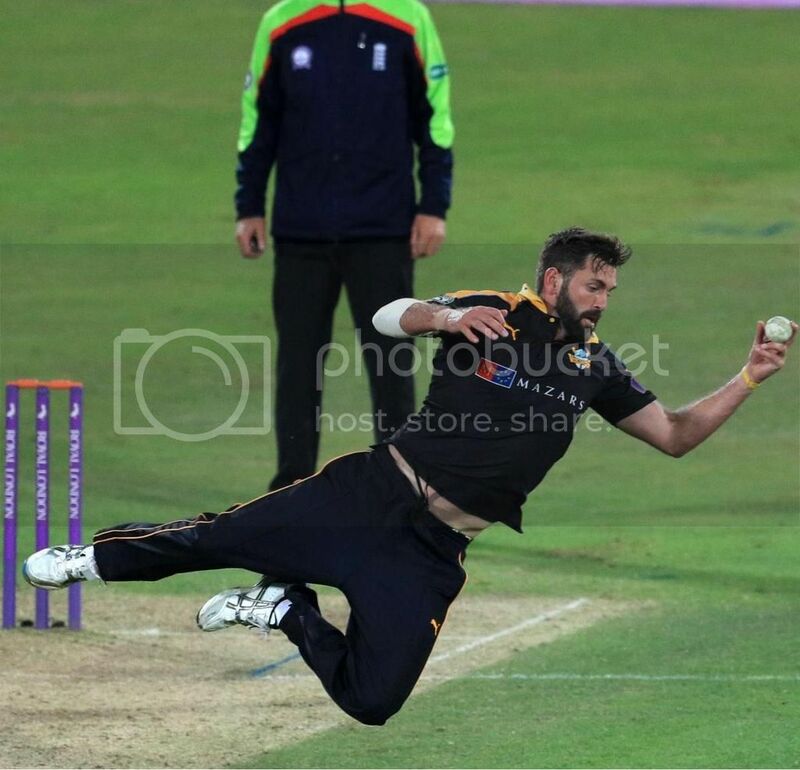 captaincolly wrote: Dramatic finish in the Gloucestershire v Derbyshire game-hosts needed 68 off 4 overs and then - with 6 needed from the final ball - a catch was taken but it was a no ball because not enough fielders were on the off-side! The winning runs were thrn scored from the extra delivery. 72 runs scored off the final five overs too. Derby have had better days! Warwickshire are deep in the mire, putting most of their eggs in the T20 basket maybe.